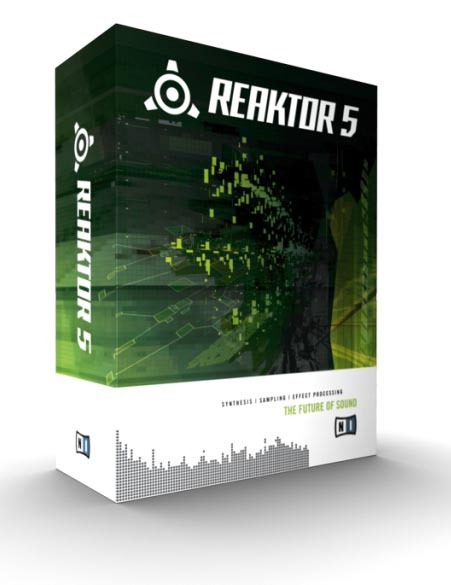 Reaktor 5, Environment for audio development from Native Instruments in the Reaktor series. tarrtime's review"Synth with DEEP editing"
Reaktor is a software application and plug-in that can be used as a stand-alone software instrument, or as a plug-in inside a DAW. Reaktor can be used as both a sound generator or as an effects processor for external sounds. There are many different sound generator instruments inside Reaktor that were created by NI and included standard with the software. There is also an online community/library of instruments on the NI website where you can download user created libraries for Reaktor. Although Reaktor can be used to do typical effects processing (filtering, reverbs, distortions, delays, etc), my favorite part of Reaktor is the creative/unique effects that can be used. I definitely recommend checking out 'The Mouth' and 'The Finger'. Reaktor can be purchased as an individual software application, however I received it as part of the Native Instruments Komplete Bundle. It can be downloaded off the NI website and installed. Authorization is completed using the NI Service Center application. If you are a tweak-head or a synth geek, then you will appreciate Reaktor. I don't really have the patience to go too deep editing this instrument or building my own instruments, but the capability is there if that is what you want. I have used a lot of the stock instruments in my music creation and love what Reaktor brings to the table. However, if you want truly unique sounds, then Reaktor allows you total flexibility and creativity to design something that no one else has ever used. Reaktor was designed to allow for deep editing by the user. It is a modular synthesizer that uses discrete building blocks to create and sculpt sound. There are included sound libraries that demonstrate just how flexible and diverse the instrument can be. There are a lot of Reaktor libraries that have been around since Reaktor 1, 2, 3. I don't find a whole lot of use for these libraries. The best Reaktor libraries are the more recent releases - Prism, Spark, Razor, Skanner, etc. 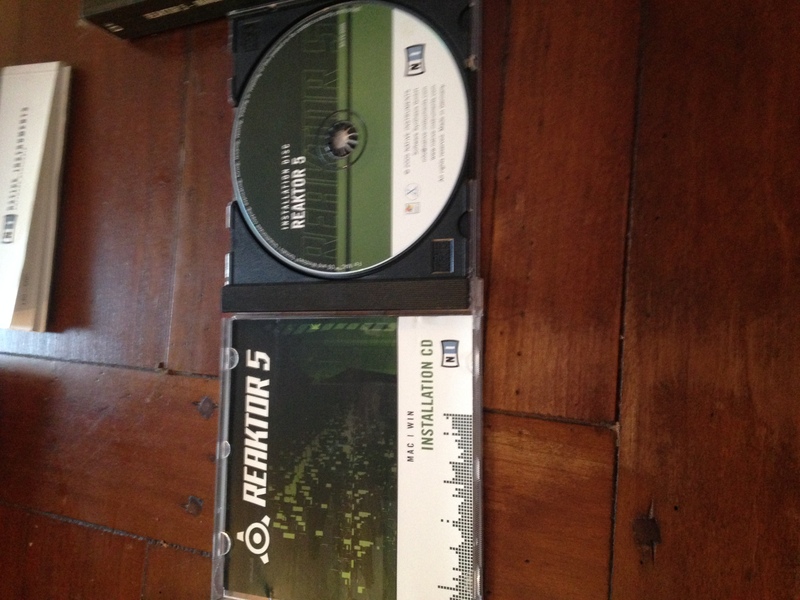 theaudioandvideoguy's review"glad i didnt buy it"
Reaktor 5 seemed to be great at first glance. But they layout of it was so much different than the other VST’s that I was use to it almost made this plug in unuseful to me. I have and have had it for a while but I hardly every use it just because I really don’t like the interface. Most all VST’s have the same style of interface and layout but this seemed to be so different to me. Plus the cost of it alone is over 300 dollars. I wouldn’t pay that much for this at all. It came with a bundle that I purchased a while ago and it has been the least used plugin that came with that bundle. I wish I understood it a little better because so many people keep saying its so good. I have even tried opening the manual and trying to get to hang of it but the manual just seems confusing to me. I am old but not that old. So I guess it was just one of those softwares that just wasn’t for me. Thank goodness that I didn’t pay for just these vst. I am not even sure if they have a free version or trial verseion for you to try before it you buy it. If you are looking fo rmore presets and really don’t want to mold and make sounds your self then I would say don’t get this. This program seemed to be more for someone who is into sound design and creation rather than jus at musician or producer/music creator. Maybe one day I will take the time and start over with the program and see if I can get it right but for now I will just leave it sit there untouched. There are so many other vst’s that are way better. MGR/mtebaldi's review"Native Instruments Reaktor 5"
I recently purchased Native Instruments bundle pack called Komplete 7, which comes with all the most popular, and powerful virtual instruments made by this German software company. Native Instruments are known for their almost unmatchable quality of soft-synths like FM8, Absynth and others. Reaktor is one of the companies oldest products and also, interestingly enough, the model for all their other products created. As the name hints, Reaktor let you create your own synth instrument from scratch. A quite amazing feature rarely found in the world of digital music. 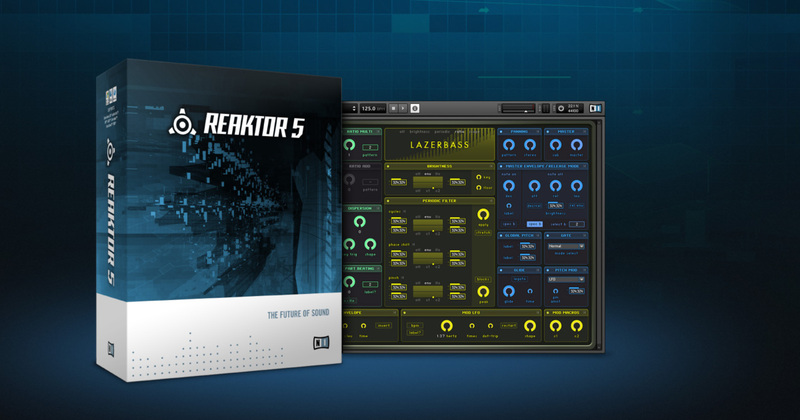 Reaktor 5 costs $399 for its stand-alone and plug in version. A $99 upgrade is available for those who own the older version, and it can also be purchased as part of Komplete 7 bundle for $499, which includes almost all NI instruments ever made. Quite an awesome deal. The best feature found on Reaktor is by far its capability for allowing anyone to create their own sound synth or effect from scratch. Although it will require a decent amount of knowledge regarding programming, the possibilities and results are infinite. The pros dont stop here though. Reaktor comes with amazing sounding built-in synths and effects so you can taste the power of Reaktor right of the bat. 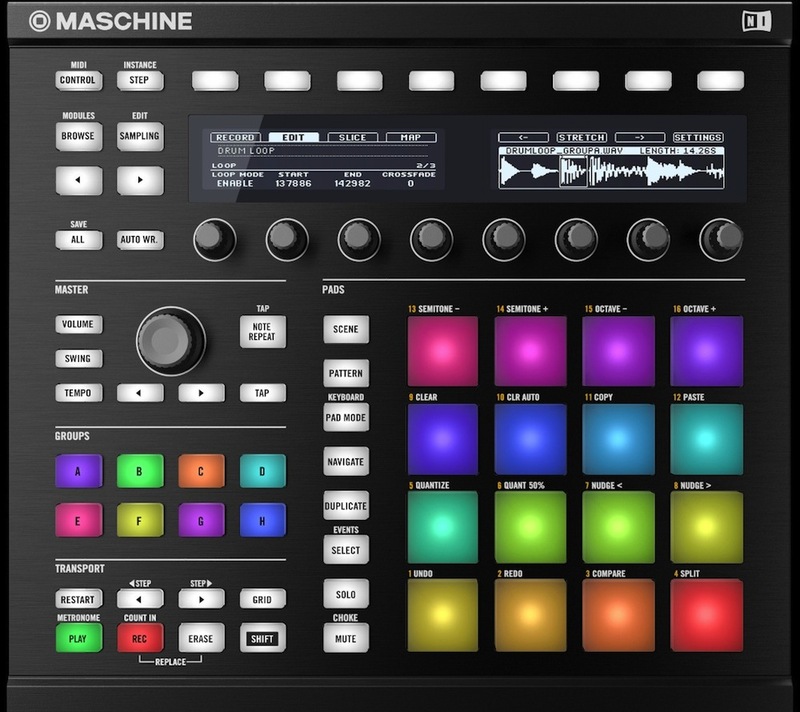 It allows the user to even manipulate these built in instruments for your own customization of the instrument. If this isnt enough, you can also go to NI website and download hundreds of other user-built instruments free of charge. If you dont have much knowledge of how synths work or if programming is not your cup of tea, Reaktor might seems at first just like a really complicated plugin. As long as you are willing to sit down and learn all its powerful capabilities, this program can become your favorite weapon in your DAW. Like all the other NI instruments, quality is definitely quite superb, but it might consume a decent amount of your CPU when running it. As long as you know how this program operates, the amount of enjoyment you will gain in creating your own sound is just unmatchable. 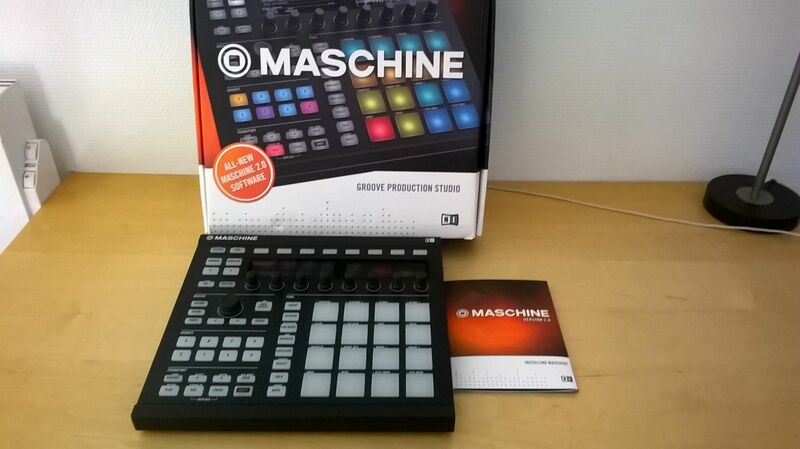 Fans of Native Instruments and synth lovers are certainly to have a blast with this unique product. Anyone could literally feel as though they are channeling Robert Moog by using this application. Its a highly recommended plug-in for the experienced digital musician. And the German bulletproof quality is there to take you wherever your creativity might lead you. yoTrakkz's review"I love this program! Must Try it." When I installed Native Instruments Reaktor 5 it was extremely quick and easy to do. There where no issues with it and I run windows vista now. Native instruments as a good look to it, and a easy workflow so you can get to what you need to get to fast and without searching through a bunch of options and folders. The manual will give you all information you ended to get up and running or incase you need to go back and look up something that you haven’t had a chance to tap into yet. But you will probably need the manual to get started, so don’t try to just hop in and start doing it on your own. Read your manual! Software works perfectly with the configuration. I use Reaktor as a VST, it has some great kits in it that I use quite often through fl studio. I have only been using Reaktor for about 6 months now, and at first it was a little tricky to me for me to understand. But once I picked up the manual everything was cleared up and very easy to use. Now I feel like I understand this program fully and I have understood how to do all the things that are possible with it. The thing I like about it the most is the ease of use, it wasn’t hard once I pulled out the manual and took the time to really dig in and understand it. The value is right where it should be, it’s a standard price for this type of software, it will be interesting to see how they do the upgrades though. And how much the upgrades will be. I would make the same choice to go with Reaktor again, because I feel they have a quality product with lots of possibilities for a reasonable price.